All FAIR - NORTH homes currently listed for sale in San Antonio as of 04/22/2019 are shown below. You can change the search criteria at any time by pressing the 'Change Search' button below. "106 Chicago is the jewel of the neighborhood fully renovated and restored and ready for a new owner. Come and see this one of a kind finish out and I'm certain you'll leave impressed. Minutes from downtown, appliances convey now that the renovation is complete it will be gone before you know it." 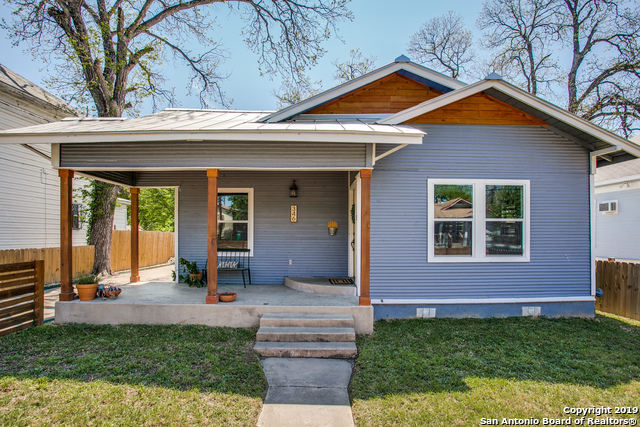 "This incredibly updated 1940's Craftsman home is located in the popular North-Fair neighborhood near Southtown, the San Antonio Missions, & Downtown. The house is a perfect balance of old and new. Reclaimed wood floors and exposed shiplap ceilings are reminders of this home's origin. Improvements include: Metal roof, A/C, electrical re-wire, insulation, sheetrock, upgraded kitchen with SS appliances. This property has a rare two car detached garage with remote controls and a large workshop. 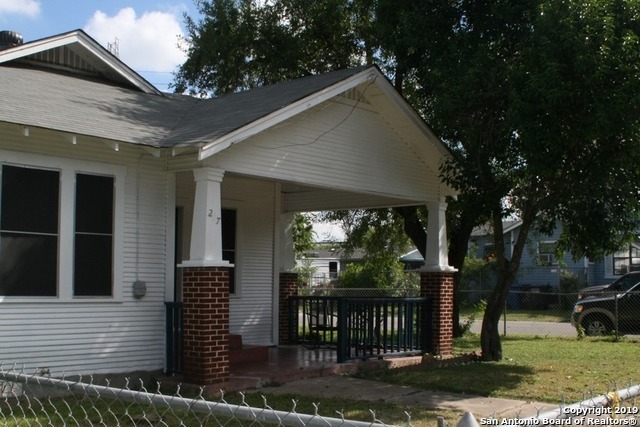 Sell"
"Beautifully renovated historic charm minutes from Southtown. If you are looking for a modern home feel with an old soul then search no more. The fresh gray walls set the tone for a calming ambiance throughout. Fresh paint, high ceilings, granite counter tops, tile backsplash, updated bathrooms, gas stove, refrigerator included, new tile, crown molding throughout are some of the upgrades you will find. Detached 2 car garage with a carport and storage room. 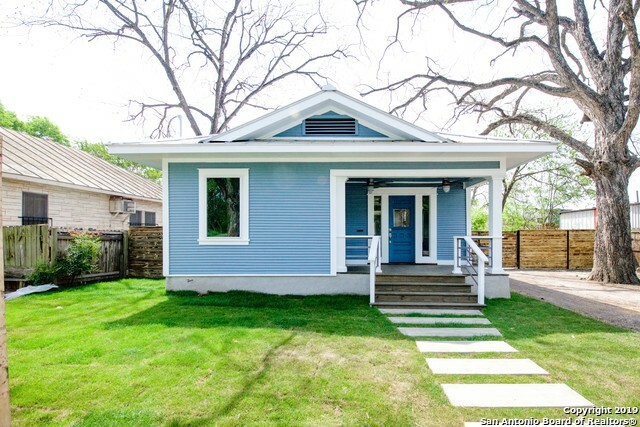 Home is currently generating income as a"
"Adorable Historic Bungalow in Riverside, just south of downtown along the Mission Reach. Renovated 2-bed, 2-bath with original wood floors, tons of windows for lots of natural light, updated kitchen/w solid surface counters, gas stove, dw, disposal, tile backsplash. Owner recently added privacy fence, deck, shutters, custom front screen door, window treatments, etc. Most of home redone in Nov 2017. Close to downtown, Easy access to Hwy. Mission Reach!" "This Cozy 2bed/1Bath home is a must see!!! This home features an open-floor plan with high ceilings and was totally upgraded in 2016. 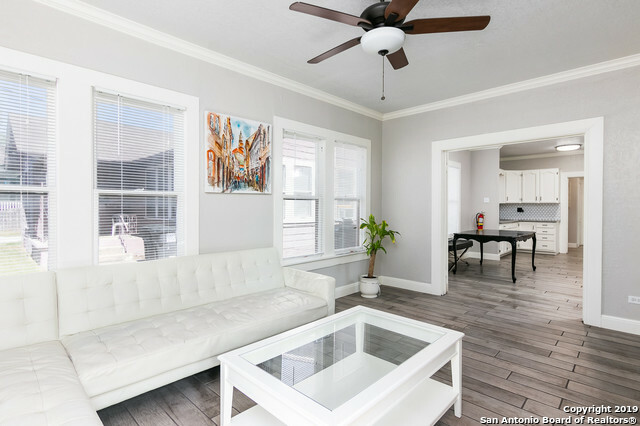 The Home location has easy access to Downtown San Antonio, the Alamo, the Historical Missions, Southtown, Fort Sam Houston, Lackland AFB, and the world renowned Riverwalk."